Translation of research findings into practice takes time, but can be facilitated by active knowledge translation and implementation strategies. A first step is the assessment and synthesis of existing research findings. 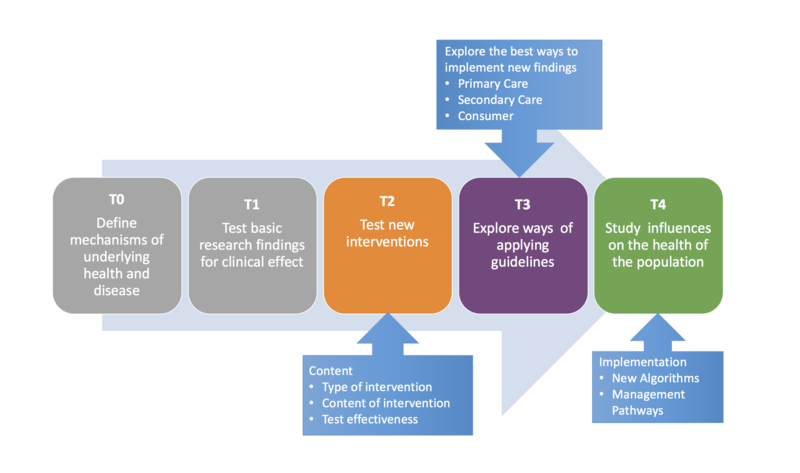 We have aimed to provide this in the development of the Severe Asthma Toolkit. Integration of these findings into clinical practice requires approaches for dissemination and communication and effective implementation strategies. A number of resources have been developed, that can be tailored to suit your individual needs. A 7-step how-to guide for driving change using knowledge-translation activities. The guide illustrates how to move from innovation to implementation in a thoughtful manner to achieve the desired outcomes of a project or initiative. The I2I-A highlights the value of planning KT projects that involving a diverse range of participants and expertise, where knowledge is jointly identified, co-created or applied. This resource was originally developed by the Dementia Collaborative Research Centres, Australia. This document was developed for researchers, and provides an overview of factors that should be considered when developing an integrated knowledge-translation strategy. A number of other resources are also available for knowledge translation on the AllerGen NCE resources page. Includes a range of resources to help you understand more about knowledge translation and implementation, with a specific focus on dementia. Many of these resources are quite general and can be applied quite broadly. Launched in 2012 by the NHMRC, as a major strategic initiative for health and medical research translation. Provides updates on the Faculty and information about research translation conferences and updates in Australia. A series of PowerPoint presentations that provide insights into knowledge creation, the “knowledge-to-action” cycle, theories and models of knowledge to action, knowledge exchange and evaluation of knowledge to action.